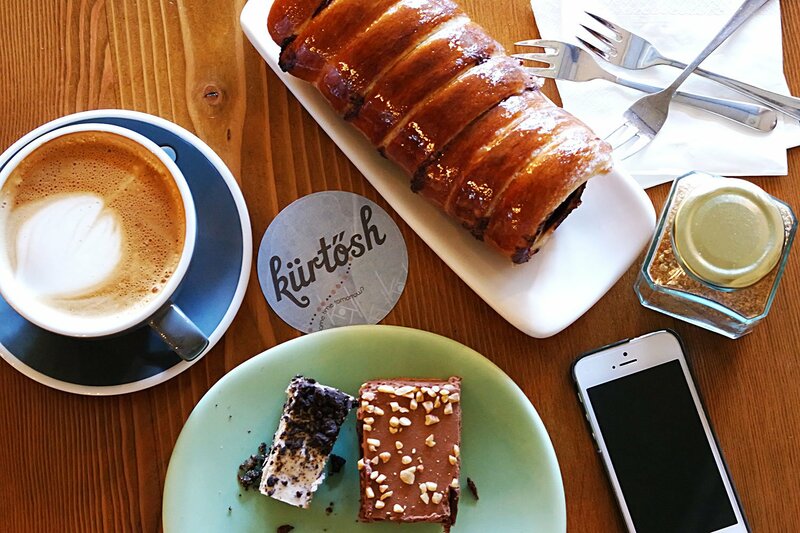 Kurtosh House is named after a particular kind of Hungarian sweet bread, where a dough is wrapped around what looks like a rolling pin, coated in sugar laced with cinnamon, and then baked to a glossy crisp on the outside and a fluffy bready texture on the inside. They also sell a variety of cakes by weight, meaning that you can literally get a mouthful of cake for afternoon tea if that’s all you really feel like. And you know what? The cakes are actually quite lovely. They were moist and fudgy – I got myself a peanut butter and chocolate…something. I stopped listening after peanut butter and chocolate – and it suited the lazy ambience of the cafe perfectly. If you, like me, are constantly hounded by analysis paralysis – what to choose? WHAT TO CHOOSE??? – then you might also enjoy the free samples that they have out on offer. But really, you might as well get some cake and coffee, and put your feet up. The Kurtosh itself wasn’t the most amazing of sweets, and quite large for a single person to boot, but the cakes more than made up for it.